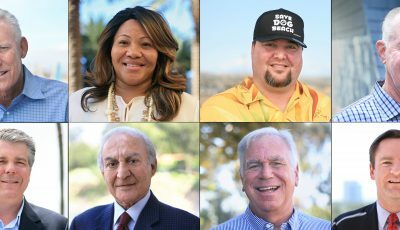 A new political action committee has been launched to advocate that Newport Beach city government cut spending and taxes. 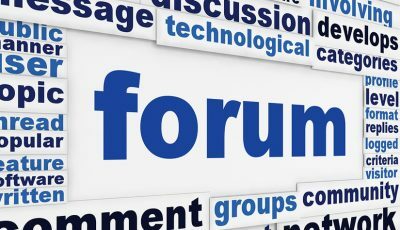 It is Residents for Reform and can be found at residentsforreform.com. 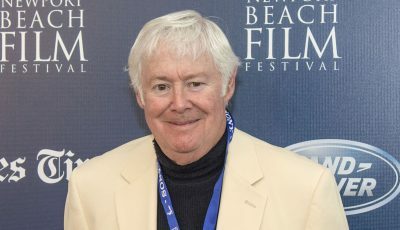 The PAC was started by local activist Bob McCaffrey. On its web site, Residents for Reform makes a number of serious allegations against the city for financial mismanagement. I’ve asked the city to confirm these numbers. Unfortunately, they failed to respond by the publication deadline. 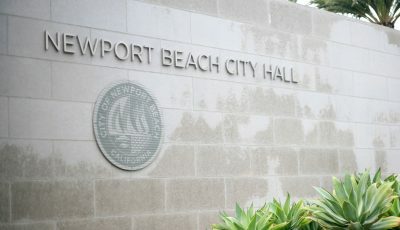 The Newport Beach city budget has risen from $109 million in the 2002-03 fiscal year to over $289 million in fiscal year 2013-14, according to a city of Newport Beach report titled Budget Details found on the city’s website. That is an increase of more than 2.6 times in 11 years. By comparison, neighboring city Costa Mesa has a budget of about $139 million, including about $19 million for capital projects and has a much larger population of about 110,000 people. In 2011, the Orange County Register listed Newport Beach as the worst offender of unfunded pension liabilities in Orange County at $303,170,402. That piles $3,489 of additional debt on each man, woman and child in Newport Beach. Even more alarming, the unfunded pension liabilities are increasing over time. State and federal government unfunded pension liabilities are frightening as well. Government employee pensions at all levels cannot continue to grow at this pace, otherwise they will consume the entire gross national product of the United States and become unaffordable. That would cause the governmental bodies to default on the pension obligations which would harm those retirees and the rest of us. First, the old city hall was to be upgraded for $40 million. Then we were told the new city hall would cost $90 million. But as reported in the Orange County Register, the costs exploded to $142.2 million, more than a 50 percent cost overrun. What government program do large cost overruns remind you of? Obamacare. What would happen to the people in charge of a project in a business if they mismanaged a project to the point of a 50 percent cost overrun? To add insult to injury, the city financed the over-budget project with approximately $228 million of long-term debt, according to documents on the city’s website. That increases the cost per man woman and child of the new city hall to about $2,600 each, or about $11,000 per family of four. Do you believe you got your money’s worth on the city hall project? That is a gross waste of taxpayer money and demonstrates indifference and contempt toward the hard work taxpayers do to generate income to fund government. As I look at the office store web sites, there are plenty of “Manager/Executive Chairs” for sale from $60 each to a high end of $200 each. I couldn’t find a $1,000 chair in my search. Only a bureaucrat could bring Lifestyles of the Rich and Famous to city hall, not a business owner. According to Residents for Reform, the city spent “$225,000 for decorative bunnies, and a park our children can’t throw a ball on.” Charitably, that could be characterized as a decoration on taxpayer funded buildings that would appeal to a narrow band of tastes. Taxpayer advocates call it a complete waste of money. Residents for Reform states that the city paid Mayor Hill’s legal expenses (which the website says totaled $50,000) for investigations and matters before California’s Fair Political Practices Commission. The PAC has a warning letter to Rush Hill from the Fair Political Practices Commission and the law firm Rutan & Tucker on its web site. The city hall debt is about $228 million. There is an additional $40 million of other debt. The unfunded pension liabilities were estimated to be $303 million as discussed above. So Residents for Reform understated the long term debt, which is $571 million. Newport Beach has more than 86,000 residents. So each man, woman and child’s share of that debt is about $6,500. If you are part of a family of four, your family’s share of that debt would be about $26,000. Do you believe you got your money’s worth? Groups like Residents for Reform seek to impose financial responsibility on government before government outspends taxpayer resources. I’m looking forward to finding out more about their efforts. The thing about Newport Beach and municipal growth seems to point at the Irvine Company with their hand on the puppet strings. I know enough to go on and on but we need to stop electing active developers. We’ve been lied too and many facts hidden, for example, how much are the development fees for all the build-out work going on in Fashion Island? Who else could have gotten the Civic Center graded and earth removed at lightning speed? Our officials know, do you? Its embarrassing knowing so many educated successful folks here, and they say nothing, or when the cats-out-of-the-bag proving a boondoggle they say “oh just get over it”. Good for Bob McCaffery for staying in the fight for transparency and fairness. After the fire ring hoax many folks are now targeting on just how this city’s merry-go-round really works. Thank you for your article. NB is a symptom of a much larger problem in the US, out of control government spending at all levels. Recently, the Federal Department of Justice had to come out and declare Albuquerque, New Mexico is mired in corruption. The people took over the Town Council and served citizen’s arrest warrants on the police chief. That is how bad this really is. However, it is not just Albuquerque. Government has reduced the standard of living for the people by consuming more than 40% of everything produced just because they have a pen and are greedy as hell.